This fundraiser is designed to help our domestic violence shelter Cannon County S.A.V.E. 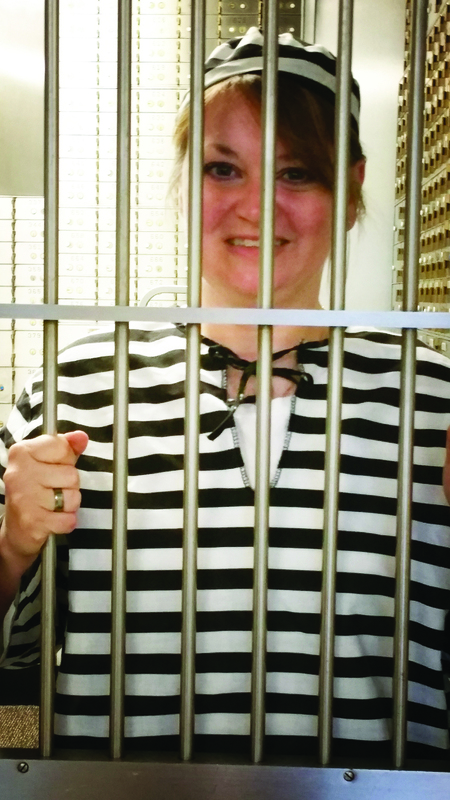 On April 20, Cannon County locals will be locked up for charity. In case you haven't heard of this type of fundraiser, to have a warrant issued on an individual a $25 minimum donation is needed. The information needed is the person's name, address and phone number and a reason for the warrant including excessive happiness, failure to keep office organized, always late, etc. (This could be for excessive happiness, failure to keep office organized, always late, etc. The other way is to be a willing participant. On the day of the 20th you will be escorted to the lock up location at the time of your choice or you can "turn yourself in". You will sit before a judge that will decide your bail. It is at this point that you can post your own bail by writing a check payable to Cannon County S.A.V.E. or you would need to start calling family, friends & colleagues to commit to donating towards you bail money. Once you have raised the bail you would be released from custody. The people that were kind enough to donate to your release will need to get that money to you as soon as possible. A check can be made payable to Cannon County S.A.V.E. For those that were served a warrant, they "will not" be taken into custody. They can make a matching donation to clear their name but it is not enforced. To the local preachers: Based on the number in your congregation we'll ask what you think is a realistic amount of bail to be set for your release. An announcement can be made to your congregation that "you will be arrested for (long sermons, excitable preaching, etc.) In order to avoid arrest you need to raise money to pay off the judge. For the students at the Cannon County Schools. We need a petition started to have the principal's arrested. Each student can pay a $1 to add their name to the petition. A student from each school will be needed as a sponsor to maintain the petition and collect the money. We thank you in advance for helping us raise money to assist with the daily operation of your local domestic violence shelter. We have been able to help so many victims get their lives back and it's all because of the great kindness this community has given to support us!